Two fenders, two quarters, front bumper, rear bumper and two rockers. Same as above with 1 1/2 inch wider quarters, turbo rear bumper, turbo rockers and turbo front bumper. 2 inch wider fenders, 3 inch wider quarters, matching rear bumper, G type front bumper and turbo rockers. 993 wide body, 2-piece front clip. Trans Am style. 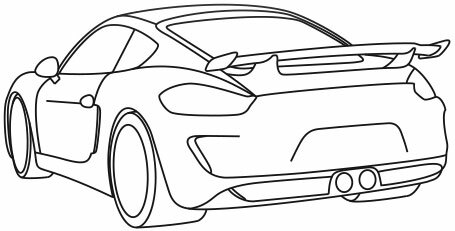 Detachable one piece front fender, hood assembly, and matching lower bumper valance. 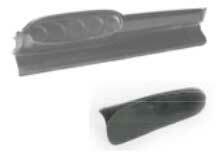 G type lower valance, EVO I or EVO II style. It comes with or without headlight bucket. This is the ultimate way to equip your race car. 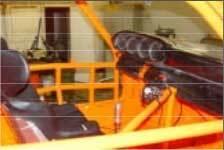 With the top hinged up and out of the way, it allows complete access to front suspension, coolers, and duct work. Fits electric wing on 993. 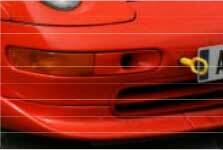 Required for Cascade I, Clubsport, RSR 3.8 ‘SC’, 993 Maus, 911 Maus and Carrera RS. These are the basic light fixtures. Wiring and bulbs are extra. Additional mounting brackets, bulbs, and wiring are required. 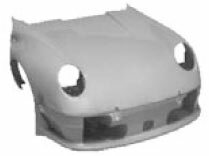 Aluminum hood spacers for raising the hood on 993 conversions. Aluminum spacer for raising the decklid on 993 conversions. Complete, one piece 9 dashboard from the top cover to the knee bolster. Has indentations for 5 guages. Race car applications. Requires removing original metal dash. Special add on flat binnacle for use with electronic dashes. 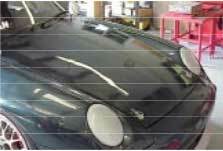 Replacement roof panel for track cars. Lightweight. Excellent for replacing heavy sun roofs. Fits all 911, C2 and 993, 74-on. This is the “short hood”. 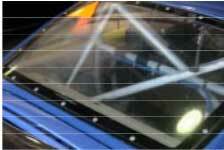 Flat racing hood. Eliminates fresh air step. Fits all 911, C2 and 993, 74-on. Plain fiberglass doors are special order. Be sure to specify that you want the plain fiberglass doors and not the foamcore doors when ordering. Fits 911/C2/993, 65-on. 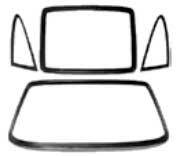 Open liner design. Clears NASCAR style, five bar cages. No provision for stock window frames. Lightest door available. The top and bottom hinges are simple bolt-on. Requires four outer hinges. Carbon Fiber doors are supplied with an opaque surface coat for painting or wrapping. Fits 911/C2/993, 65-97. Duplicates original style, pressed steel liner. Indents for electric regulator, switches, etc. Accepts stock window frame. *NEW* Simplified bolt-on external hinges speeds installation. Requires four outer hinges per door pair. Fits all 911, 65-on. Introduced on the 993 GTII these doors are a one piece construction with window frame and outside mirror. 935 style liner. Requires 4 hinge halfs.